Each morning, brush dry skin in brisk strokes from feet to hips, wrists to shoulders, waist down and décolleté up and out. Pay particular attention to any dry areas. 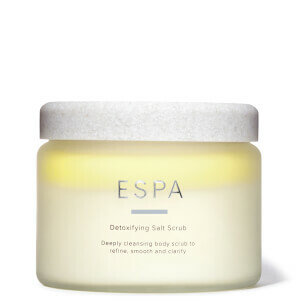 Follow with your preferred ESPA body moisturizer or body oil. I like the look and feel of the Espa body brush. My skin feels and looks better. My only criticism is it would be better with a short curved handle, for that high middle back section. Otherwise, I love it. Haven’t tried body brushing before but since I have started using this I have noticed such a big difference in my skin tone and have less dryness. Love it. I like the brush, it seems to be forking. The only thing is, there was no instruction how to clean the brush. So I ended up cleaning every time I used which is daily. Soaked the brush in hot water. The brush seems to be not as harsh anymore. Which means it is not very long lasting before you need a new one. I am a follower of Tatti - youtuber. This brush was in her favourites. I bought this and she was right ! I have been using this brush every morning since it arrived. My skin is definitely smoother and it warms me up on a cold day. Hopefully it is doing some good toning ready for summer. Very useful product. Improves skintone. This brush is excellent quality and a pleasure to use. As my skin was quite dry when I started using it, it did feel a little harsh at first but I just use lighter sweeps now. I use the brush daily and it has got rid of redness on the back of my arm which I have had for several years and which no amount of scrubs and creams would move. My skin feels healthier and I use the tri serum after showering to moisturise. The skin on my stomach and thighs also appears more toned. This is a really good purchase. The brush is perfectly sized, not too big and not too small, which makes using it a very easy process. The bristles are just right, nice and firm but not scratchy. My skin feels tingly and glowing after use. Excellent for getting rid of dry skin on my legs and for preventing I growing hairs. I originally bought the brush for my upper arms to try to massage the crepyness away. In this area I cannot use too much pressure as the brush is quite stiff and made me sore the first time I used it. It’s fine now I have learned not to be heavy handed. Handle is perfect size for me.